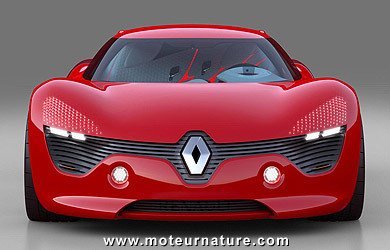 Renault, the french manufacturer has a new head of design since last year, Laurens van den Acker. 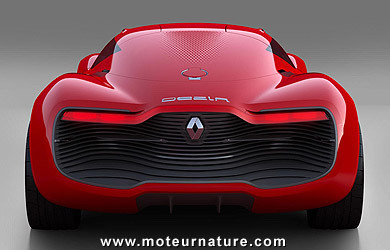 He took the job of Patrick le Quement who had it for more than 2 decades, and that was not an easy task, but with this Dezir concept, the first project he led, van den Acker shows that he intends to change the image of Renault. 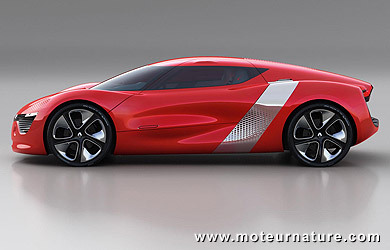 This Dezir concept looks very different from anything Renault has shown for more than 10 years. 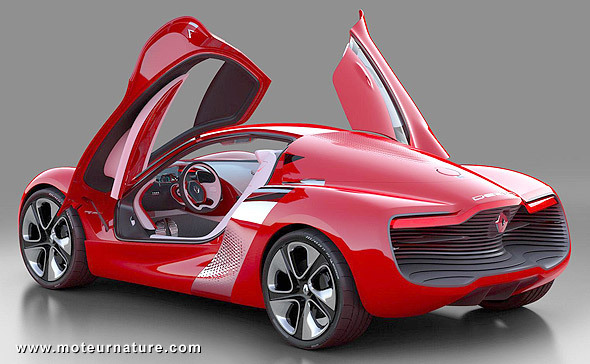 And not only because it’s sharp 2-seater. Patrick le Quement’s most famous work was probably the Renault Vel Satis, a squarish tall sedan that never had great success, but that will be undoubtedly much looked after by enthusiasts in the future. Very low and wide, the Dezir is the exact opposite. Renault is a manufacturer of family sedans and minivans, most often pretty tall cars, it’s a real surprise to see a car so low. Compared to an Audi R8, an aggressive looking sports car by any standards, this Dezir is 2 inches wider, but 3 inches lower! I don’t know yet if this will translate into production cars getting slender but it’s such a clear departure from le Quément’s work, that I see it as a sign that Renault wants to break its recent past.